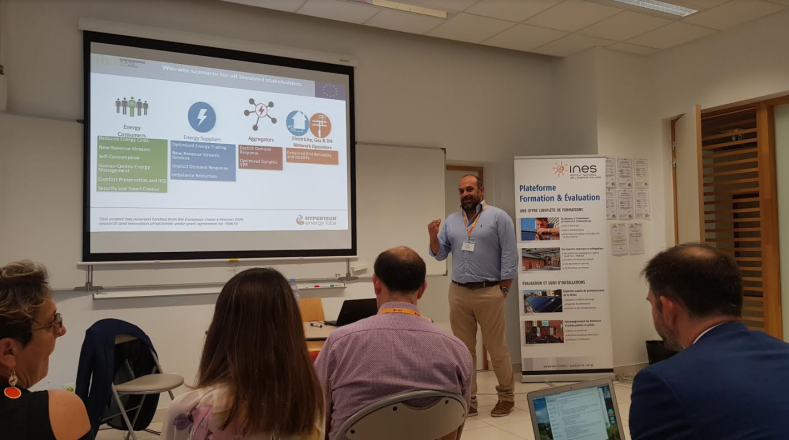 The business motivation behind the HOLISDER project, as well as, the anticipated service and business models to result from the project was the main subject of the presentation given by the technical manager of the project, Tasos Tsitsanis, during the Smart Buildings Contractors’ Workshop, held on June 28 in Aix-Les-Bains (France), as part of the Sustainable Places 2018 Conference. In front of an audience of more than 70 experts (representing academic, research and industrial stakeholders of the energy domain) and European Commission officers, Tasos, highlighted the business need that led to the conception of HOLISDER and explained in detail the project’s future view on integrated service and business models that will enable energy retailers, ESCOs and aggregators to collaborate and obtain a competitive advantage in the energy efficiency and demand response markets. The Sustainable Places Conference is a reference European event which brings together researchers and developers from industry and the academic world to report and debate on the latest scientific and technical innovations in the application of energy-efficient buildings (EeB) and smart home, community, or grid implementations.